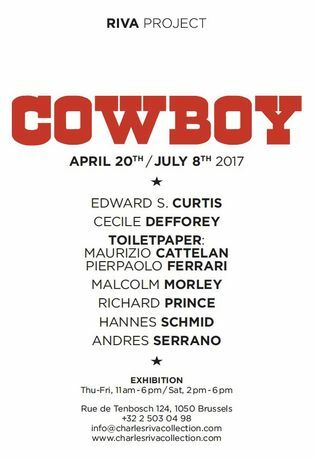 Riva Project presents an exhibition which brings together a selection of works inspired by the iconic figure of the Cowboy in contemporary art. The exhibition is rooted in a dialogue between works and artists, which explores references to the genre of the western movie. Art historian Pierre-Yves Desaive has been working alongside the collection to curate the exhibition. 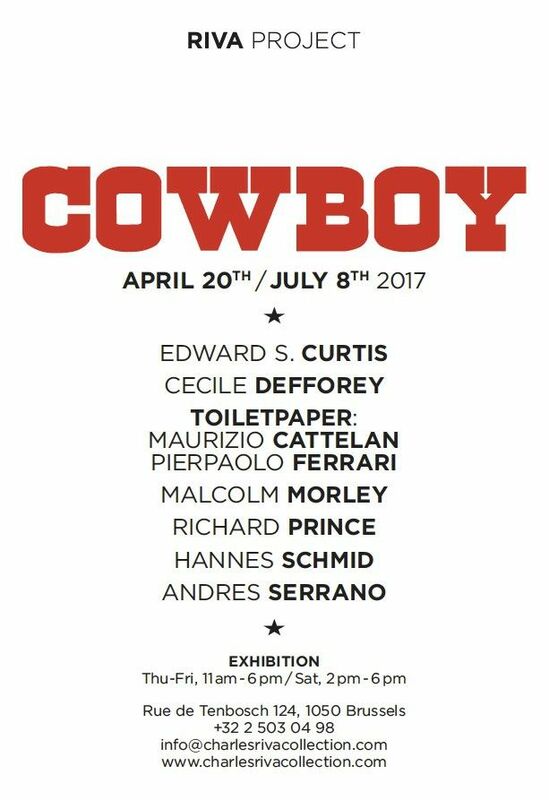 The exhibition presents a critical engagement with the figure of the cowboy, taking the work of Cécile Defforey as a starting point. The cowboy is a recurring element in her work. Appearing in free-form compositions which suggests a reinterpretation of the figure and bears witness to the persistence of the myth of the “Wild West” in contemporary art. The show stages a dialogue between contemporary works around this figure, which evokes countless legends as well as the wide open spaces of the American West. The cowboy presents an imaginative appeal drawing on ideas of freedom, power, mobility and a desire for justice. The character emerges very early in literature as a defender of widows and orphans. This dimension finds a dynamic expression in paintings and photographs which stage the qualities of the cowboy, but also gives space to the surroundings through which he travels: untouched landscapes. The works of Edward S.Curtis which reveal various facets of native American tribes or the spectacular photographs of Andres Serrano find points of resonance with the contemporary cowboy of Hannes Schmid. The protagonists meet in a setting playfully evoked in a collaboration between Maurizio Cattelan and Toiletpaper group: a green cactus and two eggs. Malcolm Morley reveals the world of the Western and the tensions driving the “cowboys and Indians” narrative in his piece.The work stands in sharp contrast to Cécile Defforey’s serene figure of the cowboy. The western retains a topical relevance and has found new life in the world of contemporary art, as the exhibition reveals in a selection bearing witness to a myth which runs deep in contemporary culture.